Sometimes called 'Song of the Night', Mahler's Seventh Symphony is a journey from night to day. An opening movement inspired by an evening boat ride on an alpine lake, two 'Nachtmusik' movements and a ghostly scherzo give the work its nocturnal quality before sunlight emerges in its jubilant finale. 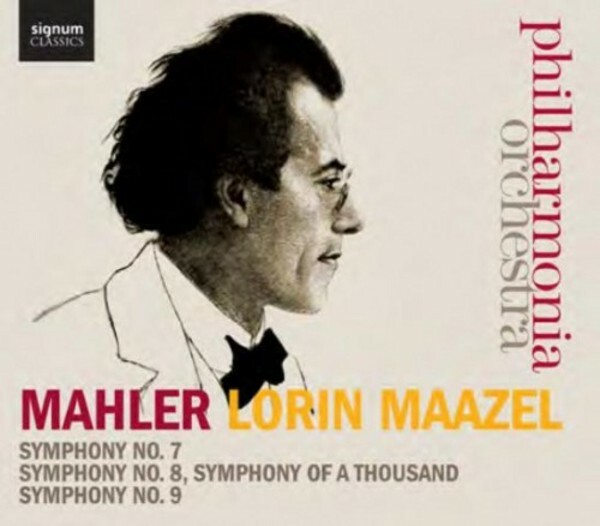 Mahler's mightiest symphony, often known as 'The Symphony of a Thousand' calls for huge orchestral forces, eight soloists, a boys' chorus and large mixed chorus. Described by the composer as his 'gift to the whole nation' it is an epic drama in two parts, the first a setting of a Medieval Latin hymn 'Veni Creator Spiritus', and the second a setting of the final scene of Goethe's Faust. An intensely personal work heard as both the ultimate farewell and a final homecoming. Leonard Bernstein said of Mahler's last completed work "It is terrifying, and paralyzing, as the strands of sound disintegrate ... in ceasing, we lose it all. But in letting go, we have gained everything".